This map comes from Field Notes I of the Detroit Geographic and Expedition Institute. 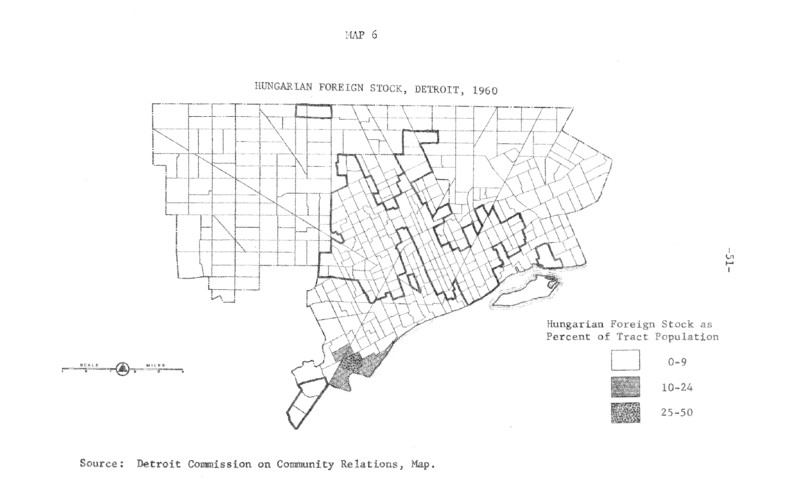 I only recently learned more about the significance of the Hungarian population’s concentration in Southwest Detroit from the Old Delray Project. Delray was at times was called “Hunkytown” or “Little Hungry” due to the strength of this cultural population. “A lot of residents call their neighborhood “Death Valley.” They complain about the huge trucks that rumble down the streets from Zug Island and other nearby industrial sites. 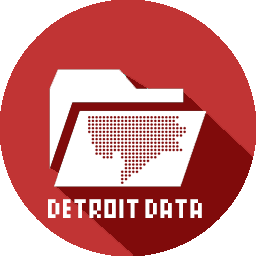 Delray was at one time its own incorporated village before being annexed by Detroit in 1906. The area used to be known as Belgrade, but Augustus D. Burdeno returned from the Mexican-American War in 1851 and convinced the residents to rename it after a village he had passed through in Mexico called “Del Ray.” The historic Fort Wayne is located in the northeastern corner of the area Zug Island is not far off. This is the neighborhood where the new Detroit River International Crossing is planned to demolish most of the historic and blighted buildings. Anyone ever visit Szabo’s Hungarian Meat Market or Kovacs Bar (closed 2011)?